A wild day on the Quran-burning controversy. Is it off or on? All the angles. Plus, the raw politics of screaming on the campaign trail. Evening Buzz: Quran-Burning Off or On? There are several new twists and turns in the Quran-burning planned for Saturday - on the 9th anniversary of the September 11th terrorist attacks. 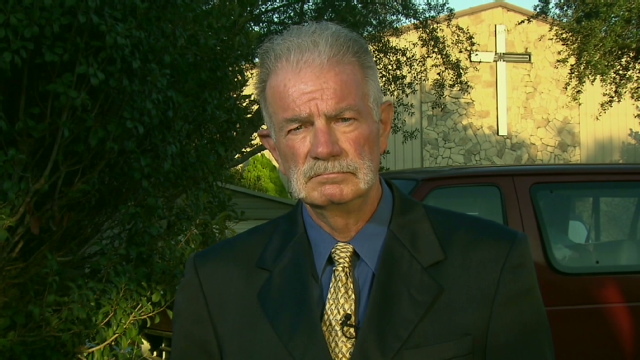 The twists and turns involve outspoken Pastor Terry Jones, Pres. Obama, the imam of the Islamic center and mosque planned for near ground zero and even Donald Trump. In a news conference this afternoon, Jones, leader of the Gainesville, Florida-based Dove World Outreach Center, said they were canceling the Quran burning. Instead, he said he was going to New York to meet with the imam of the planned Islamic center and mosque two blocks north of the former World Trade Center. But when CNN and other news organizations checked with the New York imam and his office they said that was not true. Jones then held a second news conference claiming his plan came about because a Florida Muslim leader gave him his word. "They have agreed to move the ground zero mosque. That is the world that I have. I verified that three or four times with witnesses. I trust the man that told me that. I believe that he is a man of his integrity. A man of his word. I do not believe that he lied to me," said Jones. That man Jones made reference to is Imam Muhammad Musri of the Islamic Society of Central Florida, who was at Jones’ first news conference. Mursi told us, "There is no deal. We are not bartering. We are trying, I'm trying, to resolve two delicate situations that have security ramifications around the world." In the last hour, we heard again from Pastor Terry Jones. "We assumed what the imam said was true. Now, we're in a state of limbo and we have to re-think our position. We are re-thinking our position. We are reconsidering, but we'd like to think what the imam said was true. We're a little back to square one. We hope this thing works out." All this came after Jones' got a visit from the FBI and a phone call from Defense Secretary Robert Gates urging him to cancel the Quran burning. Also today, Pres. Obama criticized Jones' planned Quran-burning, which military leaders say will put U.S. troops in danger in Afghanistan. "If he's listening, I just hope he understands that what he's proposing to do is completely contrary to our values as Americans," Mr. Obama said in an interview on ABC's "Good Morning America." Meanwhile, Donald Trump has a connection to this story. We'll tell you all about that tonight on the program. We'll also bring you a new report we like to call "Dispatches from Planet Politics." You don't want to miss the bizarre speech from Phil Davison, who was seeking the Republican nomination for Treasurer of Stark County, Ohio "The public needs to hear this message," shouted Davison. This guy also wants you to know he has a master's in communication. Hmmm. We'll let you be the judge. 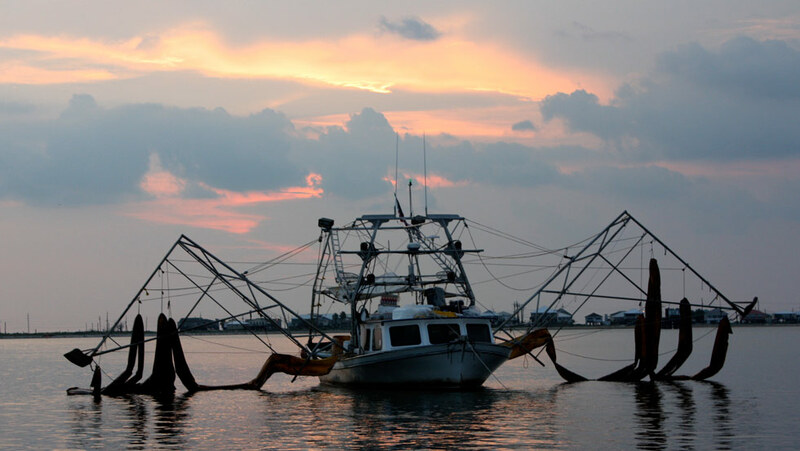 Have you worked processing gulf spill damage claims? AC360° and ProPublica 'shine a light on BP's claims processing system'. Have you worked processing gulf oil spill damage claims? Share your experiences with Anderson Cooper and ProPublica, nonprofit newsroom. From ProPublica: To fully understand the gulf oil spill claims processing system, we want to get a view from the inside. We want to hear from the people who are handling the claims – the reviewers, adjusters and other claims management workers who have been employed by BP and the Gulf Coast Claims Facility. If you are working (or previously worked) for BP, the GCCF, Worley, ESIS, BrownGreer, the Garden City Group or any of the other subcontractors or temp agencies that have helped with the claims process, we want to hear about your experience. We’re interested in speaking to you whatever your role in the process has been: answering telephones, reviewing claims, supervising adjusters, etc. Please share details of your experience with ProPublica and AC360° using this form. 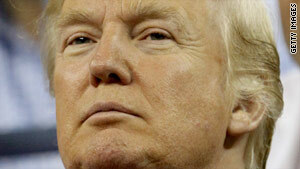 (CNN) - Real estate mogul Donald Trump has offered to buy the lower Manhattan site where a Muslim group plans to build an Islamic community center for 25 percent more than the current owners paid for it. Trump made the offer Thursday in a letter to Hisham Elzanaty, an investor in the Islamic center site. "I am making this offer as a resident of New York and citizen of the United States, not because I think the location is a spectacular one (because it is not), but because it will end a very serious, inflammatory, and highly divisive situation that is destined, in my opinion, to only get worse," he wrote. 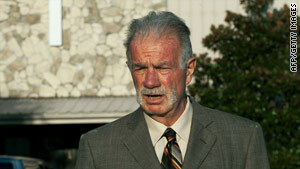 Pastor Terry Jones made a surprise announcement Thursday evening. (CNN) - The Florida pastor who had planned to burn copies of the Quran on Saturday has called off the controversial event. The Rev. Terry Jones of the Gainesville, Florida-based Dove World Outreach Center also announced Thursday that the imam who planned a mosque and Islamic center near ground zero in New York has agreed to move it to another location. Jones said he will travel to New York on Saturday to meet with Imam Feisal Abdul Rauf. The pastor appeared at an afternoon press conference with Imam Muhammad Musri of the Islamic Society of Central Florida. 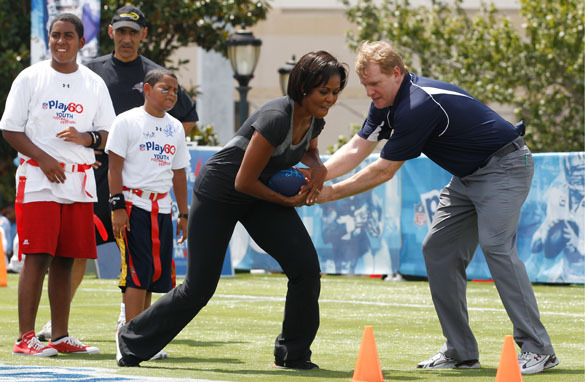 First lady Michelle Obama gets the football from NFL commissioner Roger Goodell during a drill September 8 during the NFL's Play 60 campaign to fight childhood obesity at Brock Elementary School in New Orleans, Louisiana. "The first lady takes political football a bit too literally." "Unlike BP, Obama doesn't drop the ball during drills." 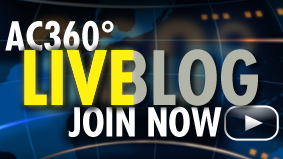 Video: Too late for Democrats to dig out? Reporter's Note: President Obama is a wonderful speaker. Even many of his opponents readily admit that. But speaking only works, if there is an audience to listen, and that’s the subject of my daily letter to the White House. I believe in talking. Actually, I believe in it far too much as far as my producer, Katie, is concerned. Sometimes after we’ve been cranking down the highway for a couple hours she’ll turn to me and say, “Ok, so let’s just be quiet for a while.” I like talking about music, ideas, books, movies, work, play, and of course the Saints. (Who, I may note, are playing tonight! Huzzah!) And I believe in talking out disagreements with others. Partially this grew out of my experiences in junior high, when I realized I wasn’t a very good fighter. Some of it has come from 24 years of marriage in which I realized talking is a lot better than an evening of frosty silence. So I was pleased to see Imam Feisal Abdul Rauf appear on CNN last night to explain his plans for that Islamic center near ground zero in New York. I’m sure people all over the country will be grinding every sentence today with their morning coffee beans, parsing his words, and talking them over endlessly. But here is something I think is worth considering: As much as I love talking, I learn the most when I listen, especially when I listen to people with whom I do not automatically agree. (CNN) - A plan by a small Florida church to burn Qurans on September 11, which has triggered worldwide controversy, is a "recruitment bonanza for al Qaeda," President Barack Obama said Thursday. "You could have serious violence in places like Pakistan or Afghanistan" as a result of the proposal by the Gainesville, Florida-based Dove World Outreach Center, Obama said on ABC's "Good Morning America." "This could increase the recruitment of individuals who'd be willing to blow themselves up in American cities, or European cities." The Rev. Terry Jones, pastor of the Dove Center, has said he will proceed with the plan Saturday, the ninth anniversary of the September 11 terrorist attacks, despite increased pressure to abandon the proposal and warnings that going ahead could endanger U.S. troops and Americans worldwide. Interpol on Thursday issued a global alert to its 188 member countries, warning of a "strong likelihood" of violent attacks if the Quran burning proceeds. And the FBI warned local law enforcement that the plan, along with other recent controversies involving the American Muslim community, could lead to hate crimes and encourage extremist rhetoric, although a federal law enforcement official said there was no credible information that attacks were planned. Discussions are taking place within the Obama administration about the possibility of intervening, White House spokesman Robert Gibbs told reporters Thursday. Pentagon spokesman Geoff Morrell said the possibility of calling Jones is under consideration, and that Defense Secretary Robert Gates was participating in the discussions. Who might call Jones or what, if anything, might be done is still being discussed, Gibbs said. (CNN) - It's been a long time since U.S. Rep. Kendrick Meek and former President Clinton met at the Suwanee Swifty store in Tallahassee, Florida. Clinton, during his 1992 presidential bid, needed to make a stop for deodorant after landing at the airport. Meek, then a state trooper, was assigned to Clinton's detail and accompanied the Arkansas governor. It's a visit both would remember for a long time - and something that would solidify a friendship lasting nearly two decades.